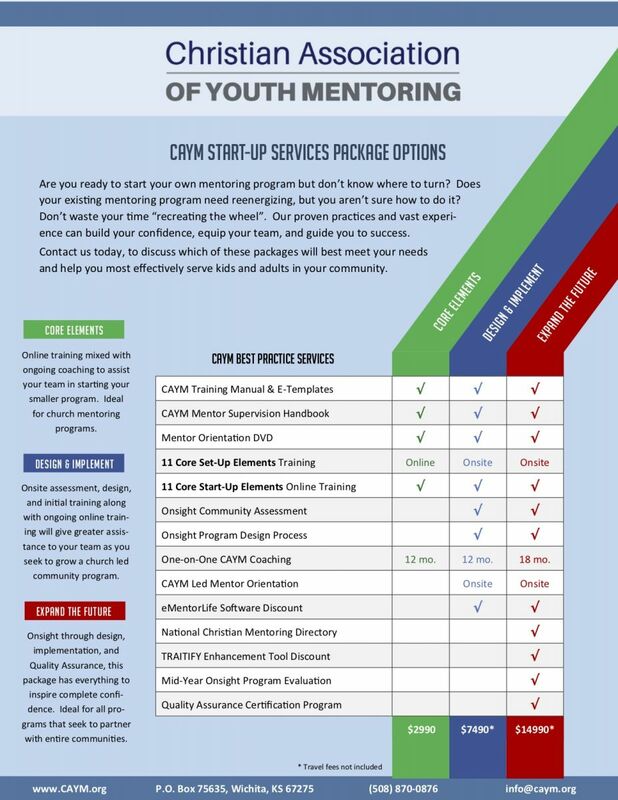 CAYM’s Service Packages have what you need to either improve your ministry or get it started. Our staff averages nearly thirty years of experience in mentoring. 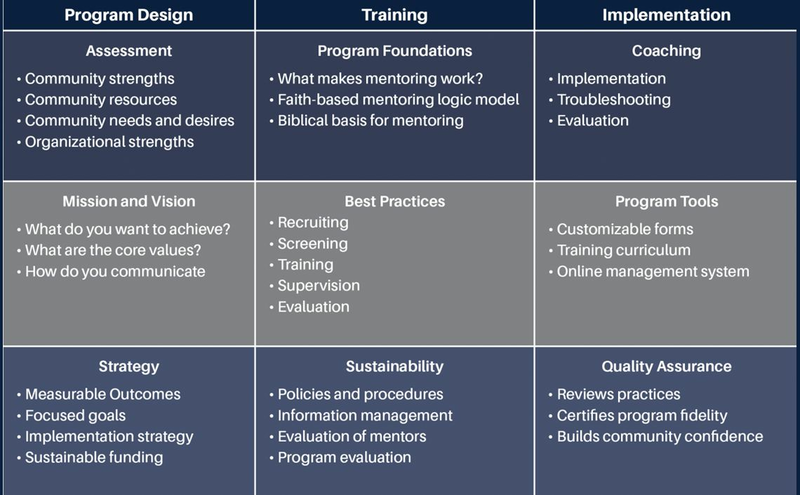 Since 2005 we have helped hundreds of churches and nonprofits develop the best practices of safe and effective mentoring. Research indicates that if you do not follow the established best practices of mentoring, you will do more harm to youth than good. Our Core Training helps you to recruit the right mentors, screen them thoroughly, provide excellent training and then coach them so that they will be effective and fulfilled as they build life transforming relationships with youth. * Travel costs not included.